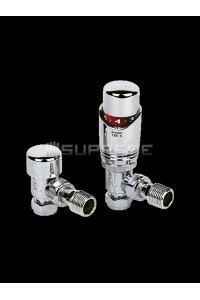 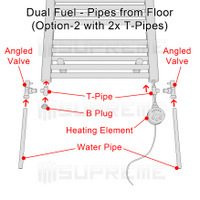 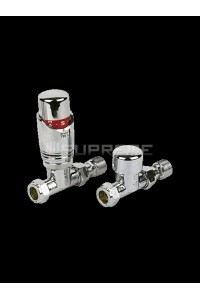 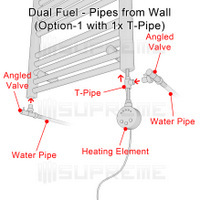 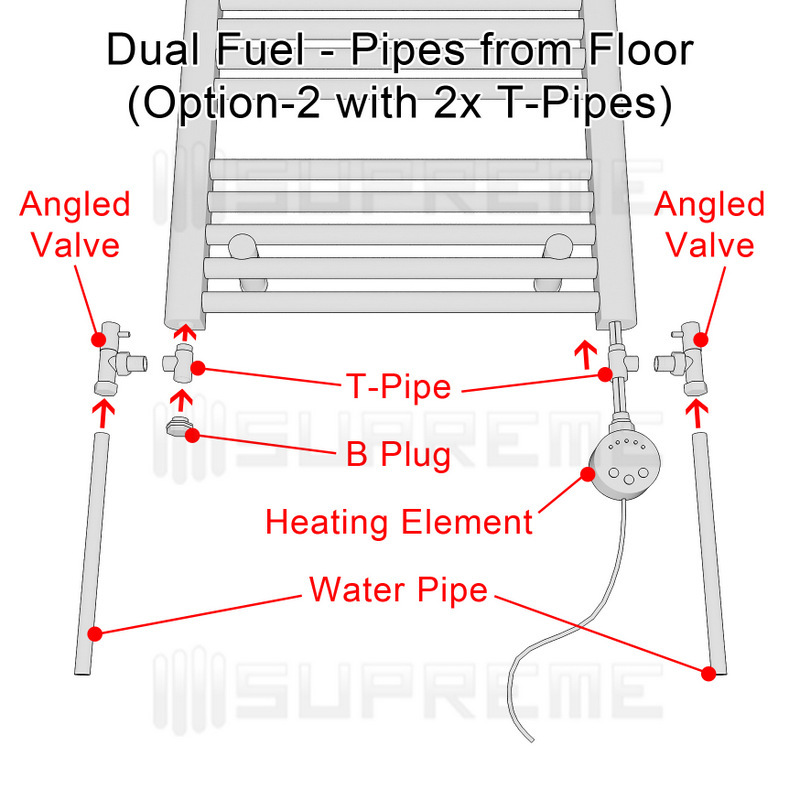 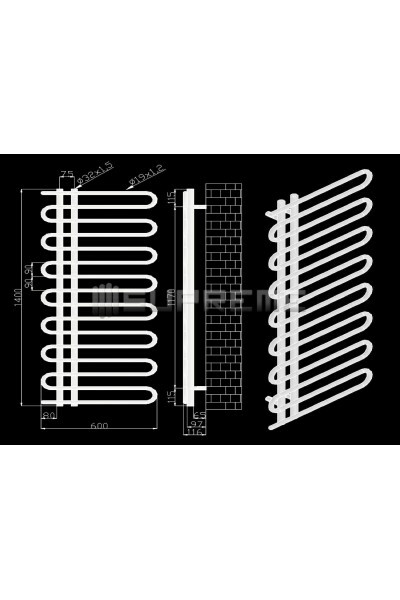 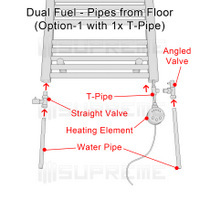 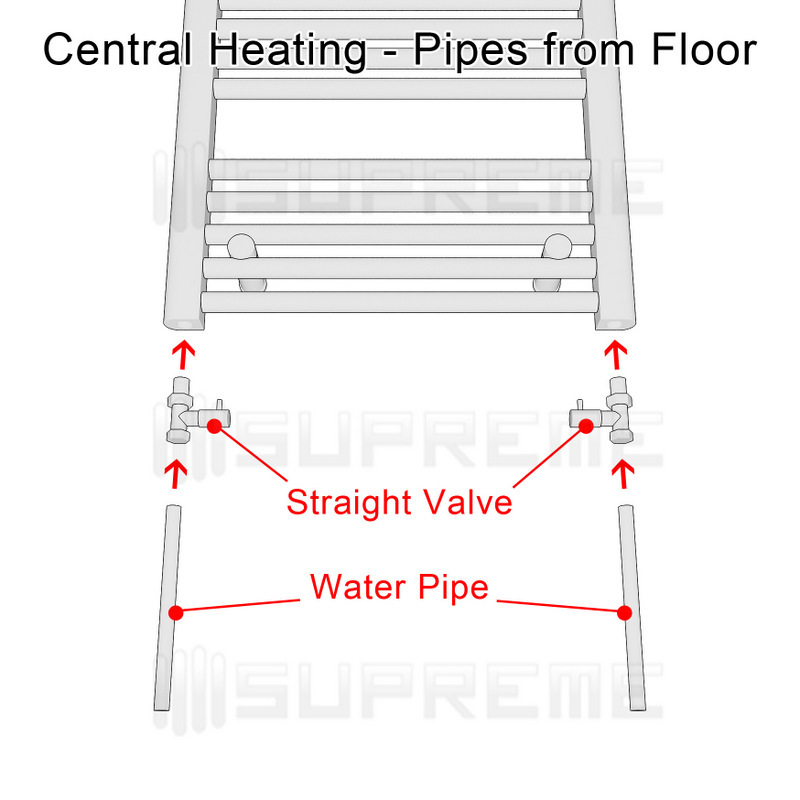 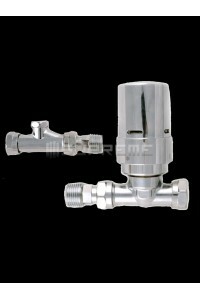 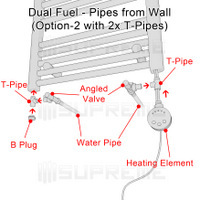 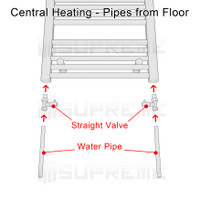 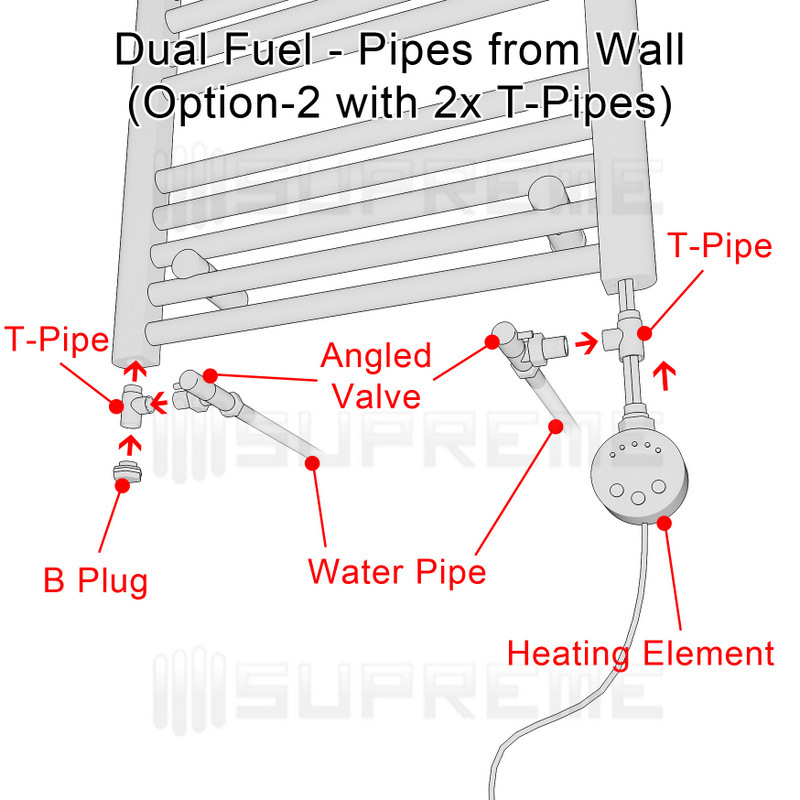 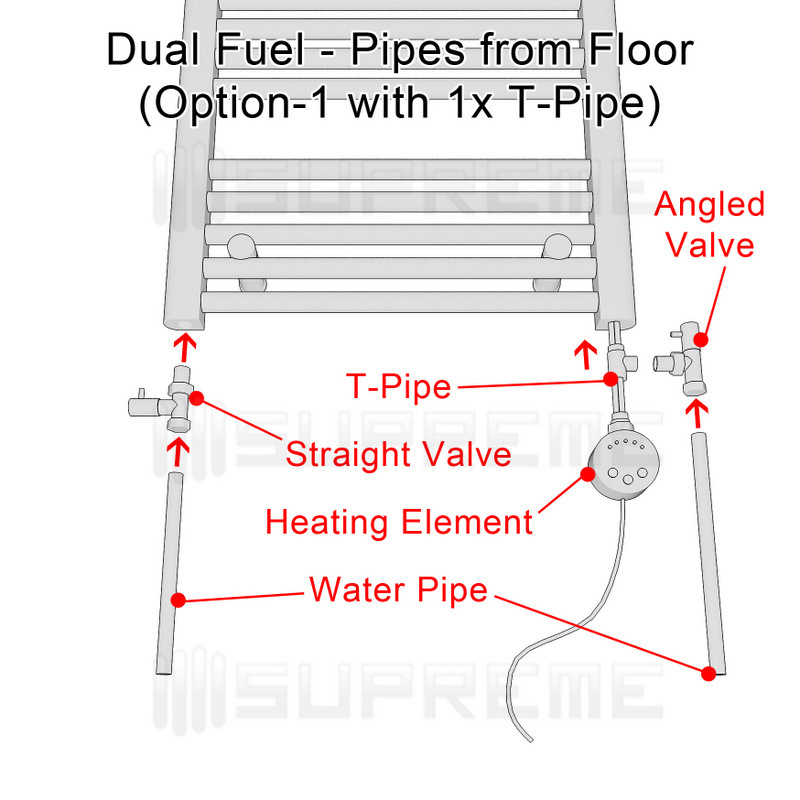 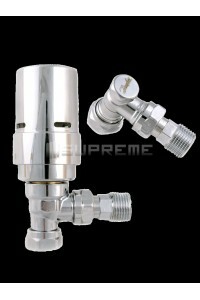 *This product can be rotated so that horizontal pipes can point to left or right. 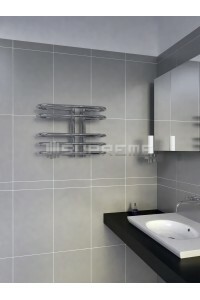 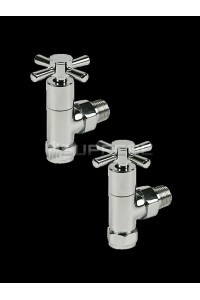 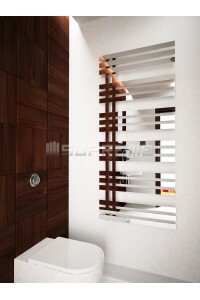 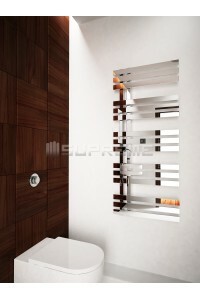 ***Do you want a touch of character in your bathroom? 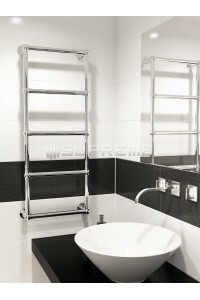 A product that combines both design and function? 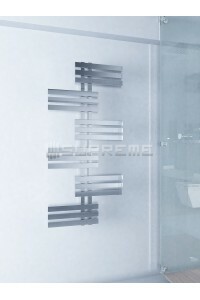 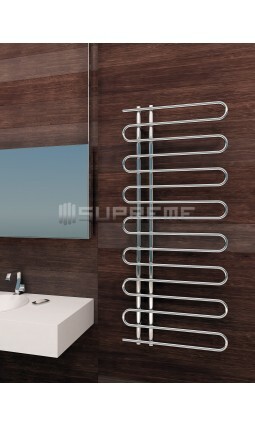 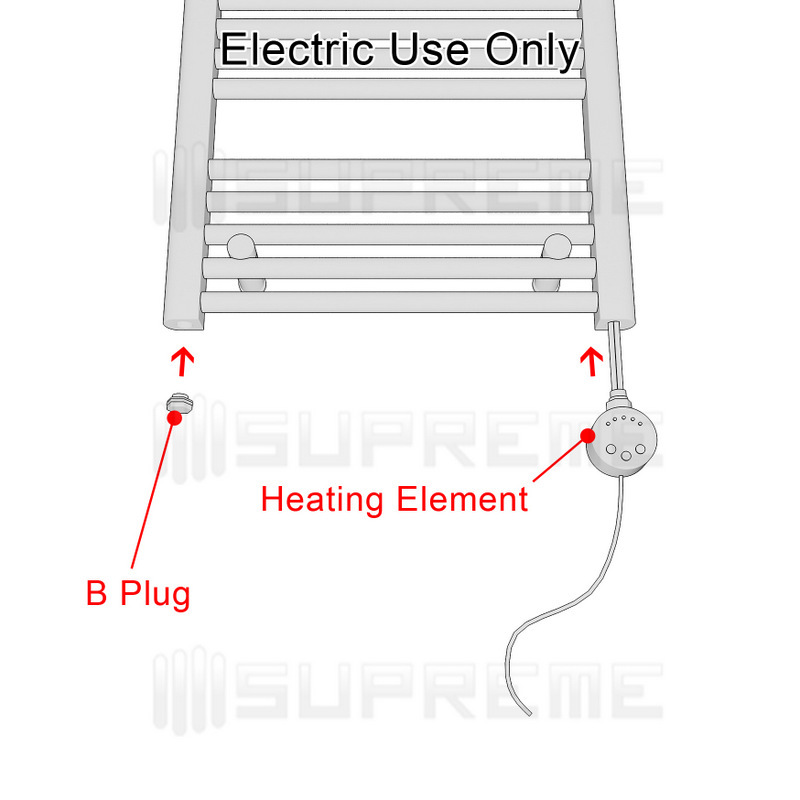 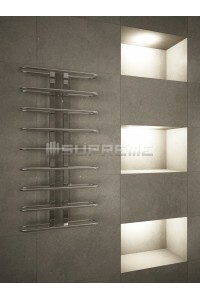 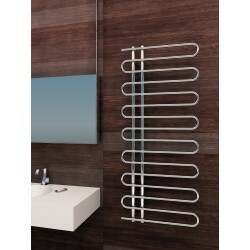 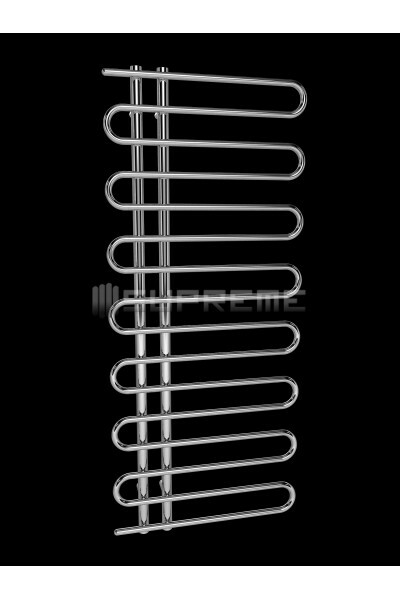 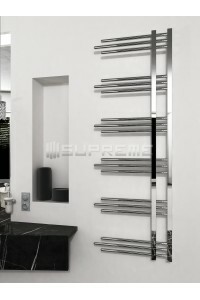 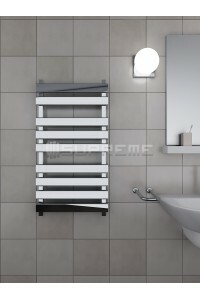 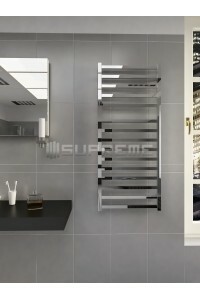 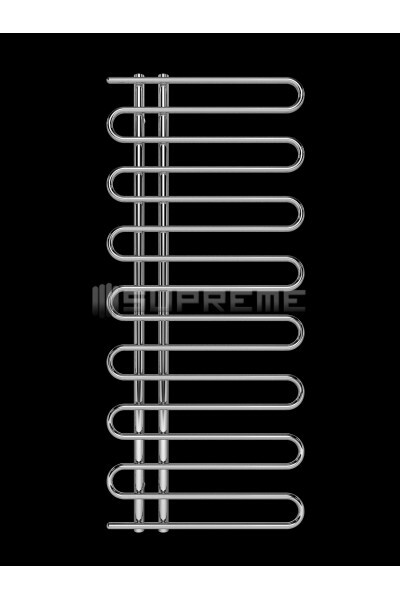 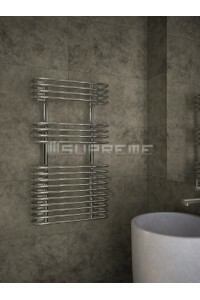 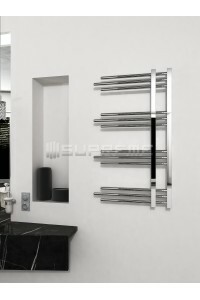 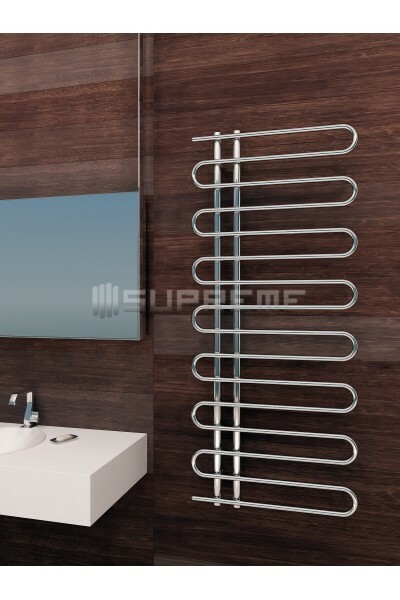 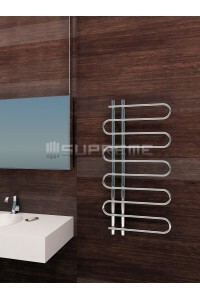 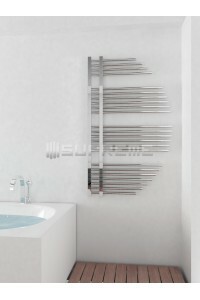 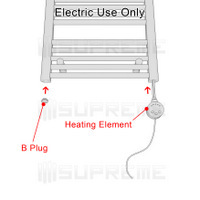 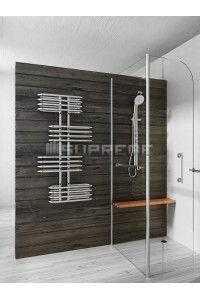 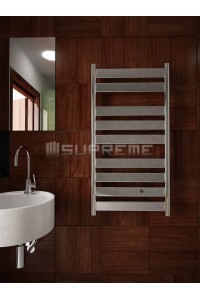 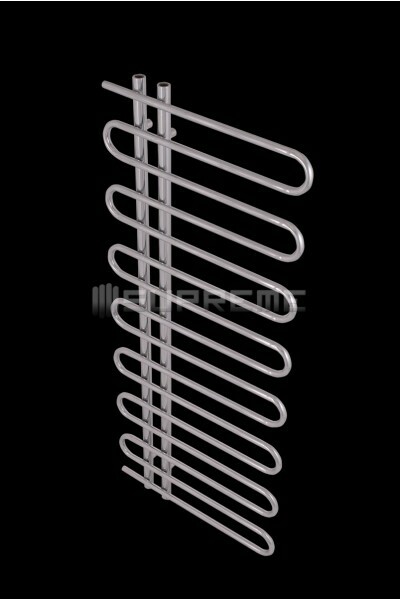 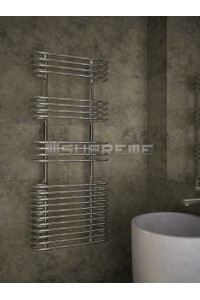 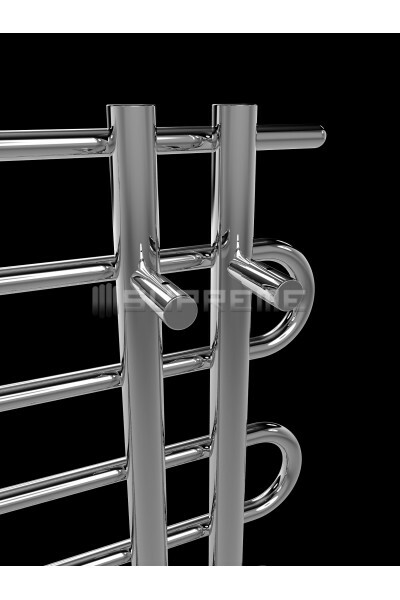 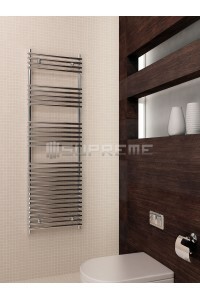 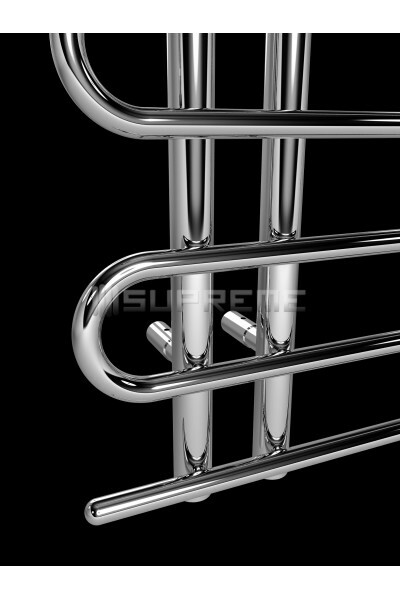 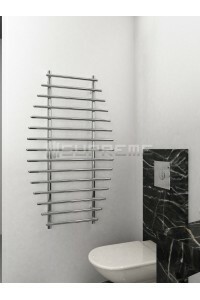 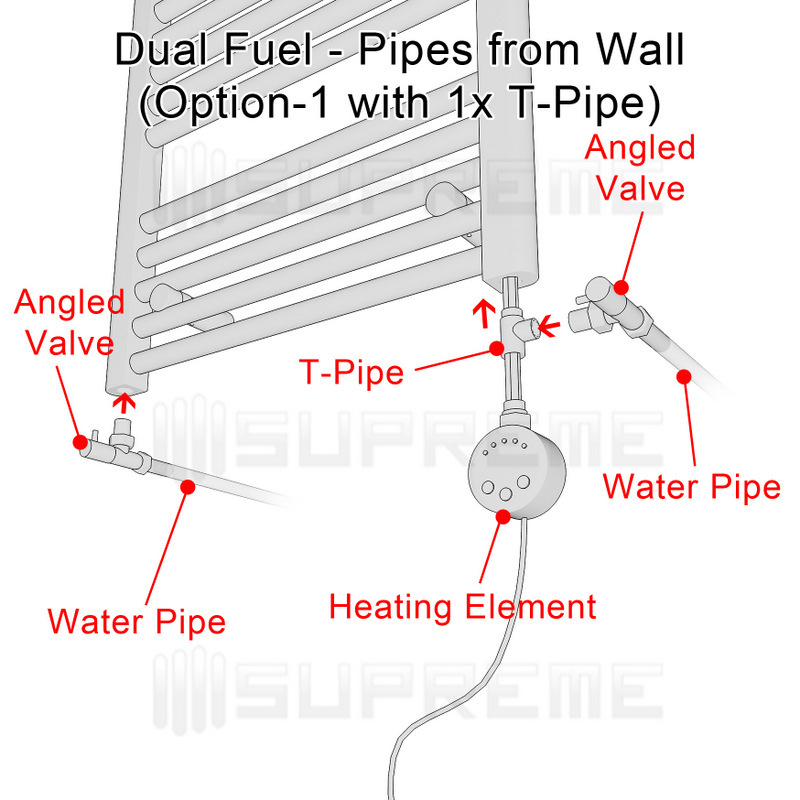 The Supreme TES designer towel radiator fuses both elements in its chrome tubing structure. 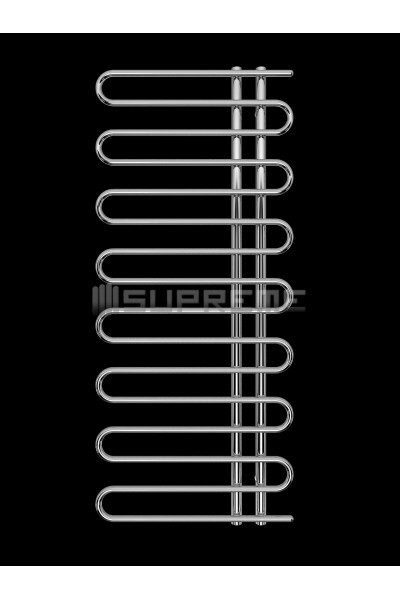 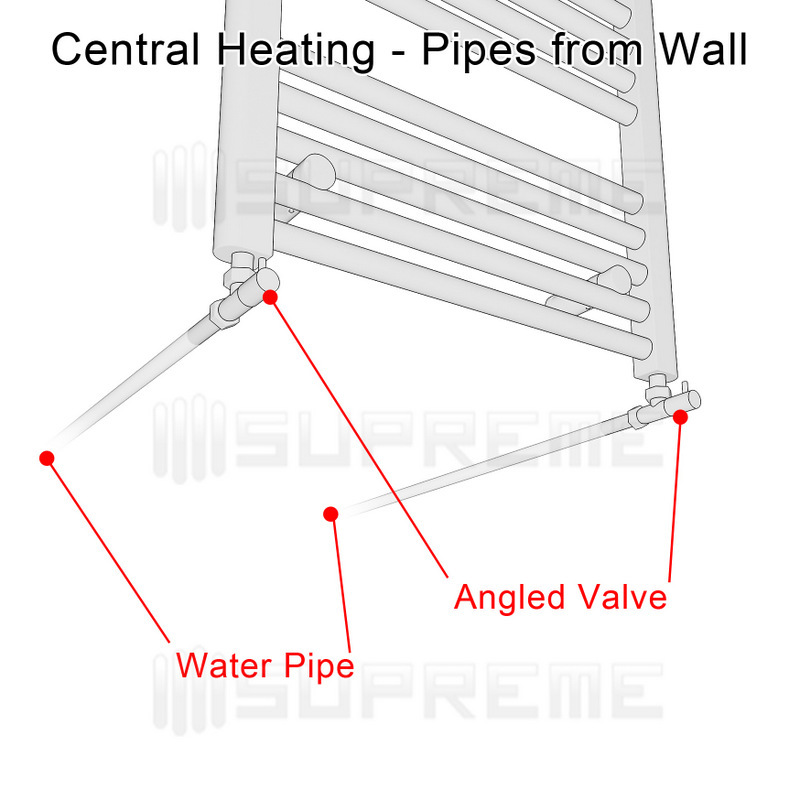 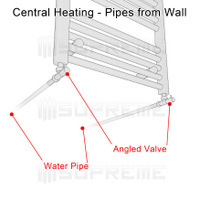 A beautiful yet classic design, the S-shaped tubing circulates the heat generated by electric and/or closed central water heating sources. 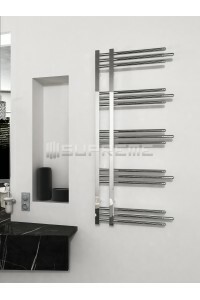 The horizontal tubing is seamlessly welded to two vertical pipes that fasten to the wall using invisible chrome brackets. 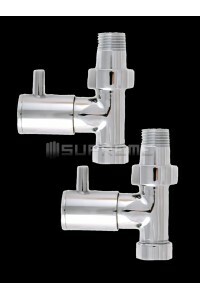 It is available in three standard sizes at 500/1000mm, 600/1200mm and 600/1400mm. 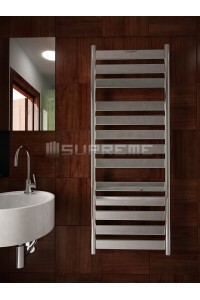 However, due to the individually crafted nature of the product, the measurements may vary by 0.5cm. 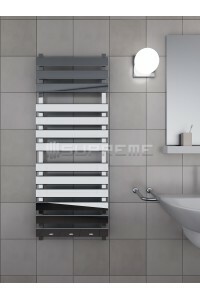 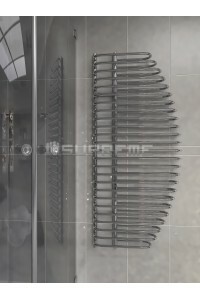 This handmade towel radiator is perfect for hanging your towels and heating your bathroom. 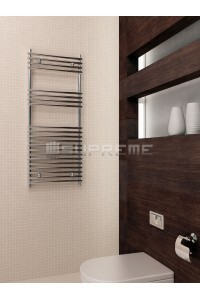 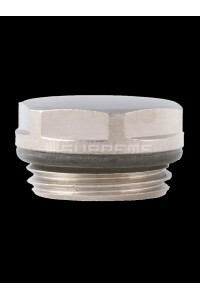 A multi-purpose product that maintains a high standard of quality!